Hi, I'm Cheryl Gorey and I live north of Mackay, Central Queensland, Australia. I have owned and loved Irish Setters since 1988 when I got my first male Irish from Mary Clarke and Norm Clarke from the Rhuboda Kennel in Brisbane, Queensland. I then also bought a female from Rhuboda and bred my first litter in 1992. Since then I have owned Irish Setters from the Kelliher, Brazenwinds, Linleymvorne and Nanyima Kennels.Breeding UK Type. 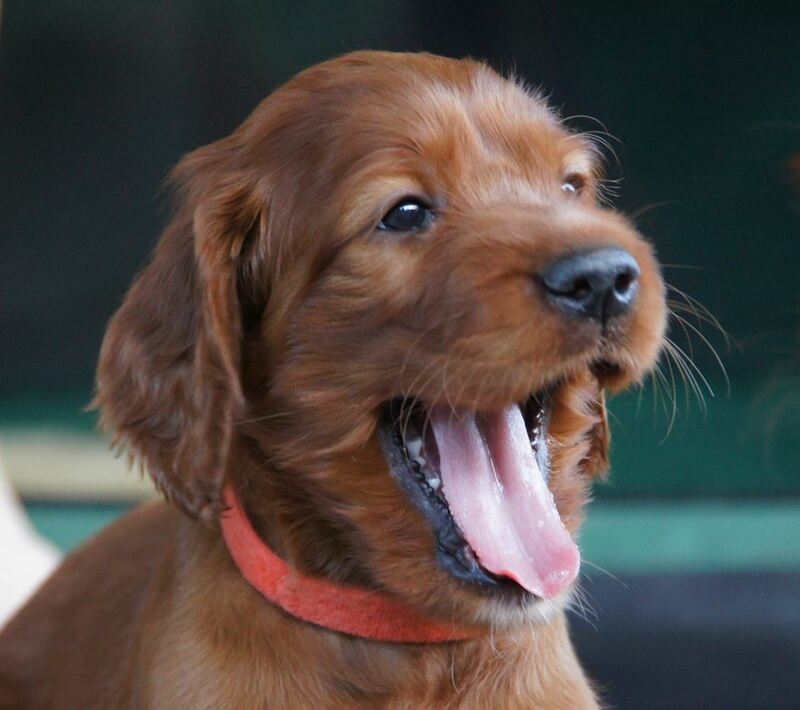 So, you want an Irish Setter Puppy? The Irish Setter is a large dog breed, weighing approximately 25 - 35kgs. It is officially part of the Gundog group in Australia. 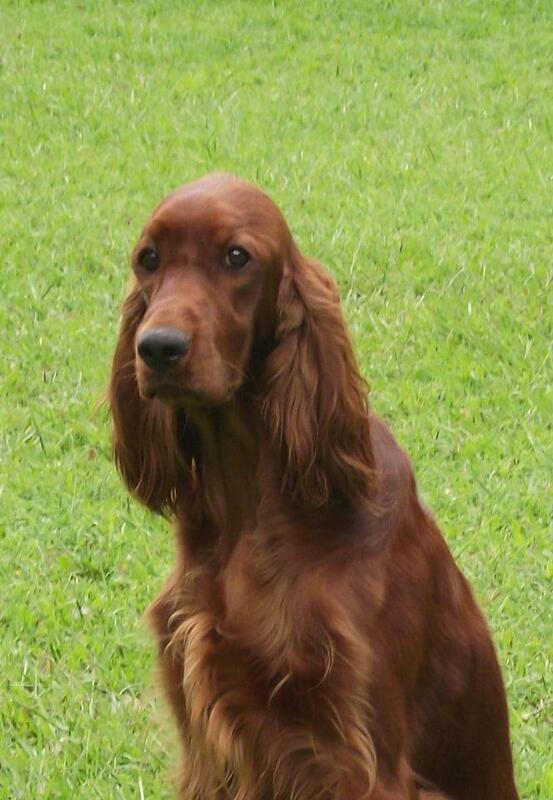 The Irish Setter breed has a typical lifespan of 12 to 15 years, Long hair, and moderate shedding. 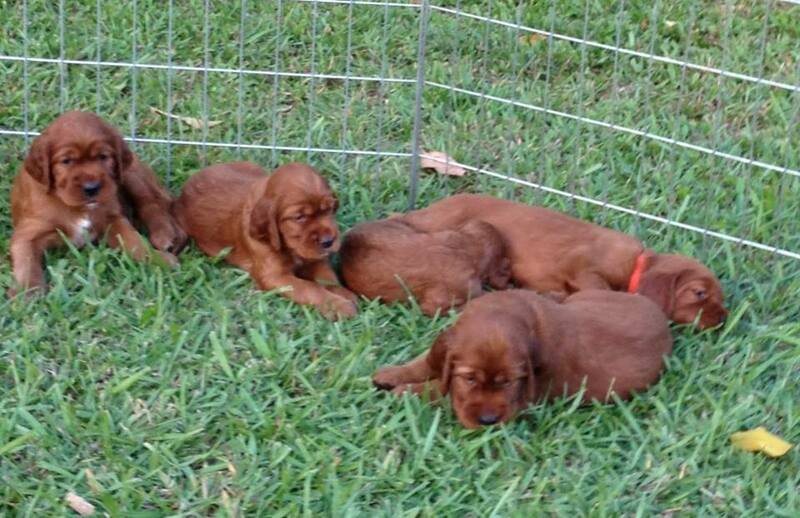 Breeders interested in the Irish Setter should know that the average litter size is between 8 to 10 puppies. Energetic, high spirited and sweet tempered, Irish Setters are excellent family dogs. Highly affectionate and intelligent. They are responsive yet sensitive. They are very lovable and impulsive, with an independent spirit. 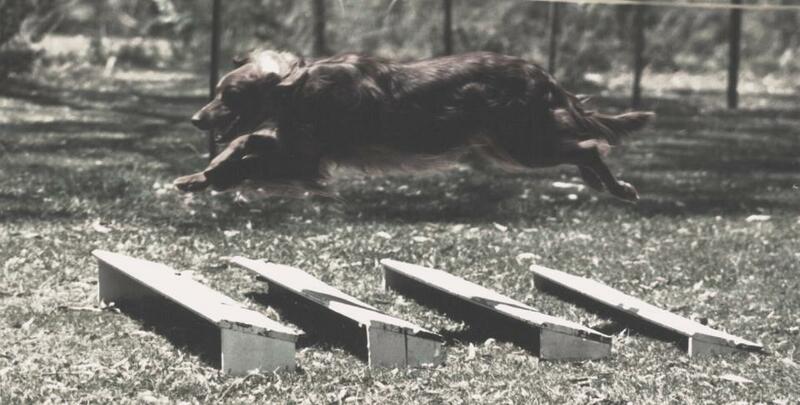 Irish Setters must be trained at an early age to prevent the development of bad habits. They have no guarding instincts, get along with other animals, and are good with children. They are wonderful dogs and are considered a joy to own. It is important to train them for good house manners and they are easily housebroken. 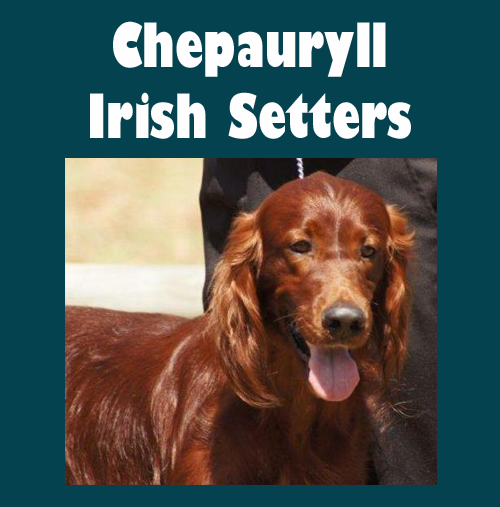 Irish Setters are extremely swift, with an excellent sense of smell and are hardy over any terrain and in any climate. The Irish Setter is used for all types of hunting. They even work well on wetlands. Both field lines and show lines make good pets, though the field lines are generally smaller with shorter coats and a much higher activity requirement. Requirements for this breed include fully fenced yard with plenty of exercise time - either in their yard or regular walks with the family. This breed can be naughty at home if they do not receive the proper amount of mental and physical exercise. Regular brushing and combing of their soft, flat, medium-length coat is all that is required to keep it in excellent condition. Keep it free from burrs and tangles, and give a little extra care when the dog is molting. Bathe and dry shampoo only when necessary.